I really don't like wearing foundation on my face every single day, because I tend to break out. I have tried several different kinds of foundation over the years, and for some reason my skin is just super sensitive to them. I think it is because it is so oily, but I'm not 100% sure. So because of this, I work really hard to make sure that my skin stays clear and moisturized. I still have dark circles (thank you 17 month old who still doesn't know how to sleep through the night ;)! ), and my skin does have some discoloration, but I feel like I still look presentable without any type of product on my face. That being said, I do love to put foundation, blush, and bronzer for church, dates, and other occasions, but most of the time it is just nice to let my face breath. 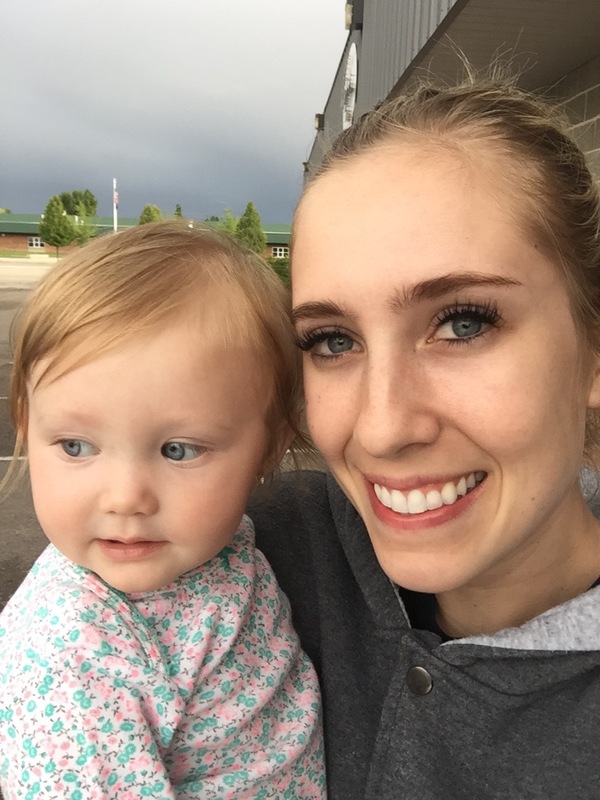 So this photo definitely isn't the most flattering photo, but it was taken on a day when I just worked and took care of Rose all day and didn't get ready. Yes, I have lash extensions if that was your next question. This photo isn't edited at all, so it kind of gives you an idea of what my face looks like without any product on it. There are certain products that I use on my face to keep it clear and moisturized, and I wanted to share them with all of you. They are just drugstore products (hello husband-is-a-college-student-budget), but they work really well for me and are obviously very affordable. My skin is already prone to being super oily, so I knew that I needed to find a moisturizer that wasn't going to make that worse. 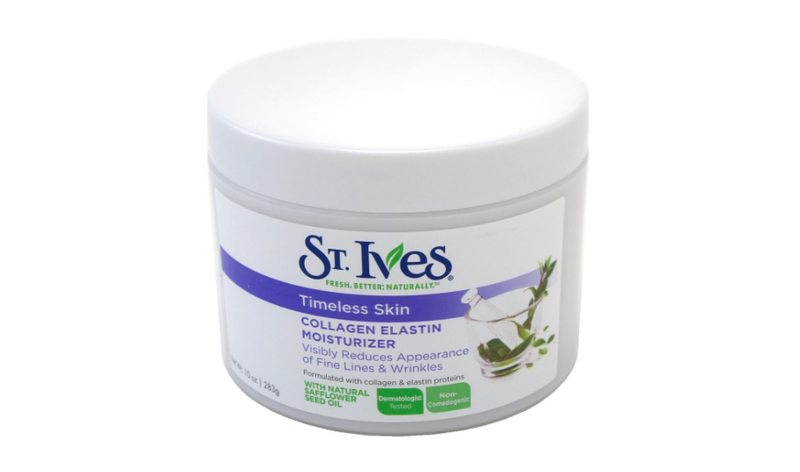 I really like my St. Ives moisturizer because it moisturizes my face without clogging all of my pores and causing me more blemishes. I also really like that it has collagen in it because hey I won't be young forever right?! 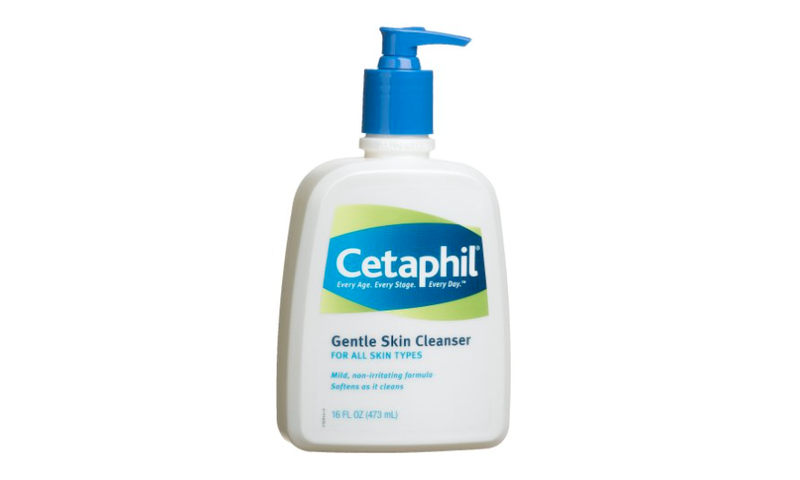 I really like Cetaphil because it is so gentle on my skin. Like I said before, my skin is super sensitive to everything, so I have to be careful what I use. This does a great job of cleaning my skin, and it also doesn't dry it out. This is important for me because whenever a face wash dries out my face, my skin then creates more oil than necessary, which then gives me more blemishes. I just use this each time that I shower, and I carefully rinse it off with a wash cloth. The only thing that this doesn't do is give my face a gentle scrub, so one of these days I am going to have to break down and get a Clarisonic brush to help with that. Sometimes my face feels dirty or oily or whatever you want to call it, and I want to clean it without actually washing it. 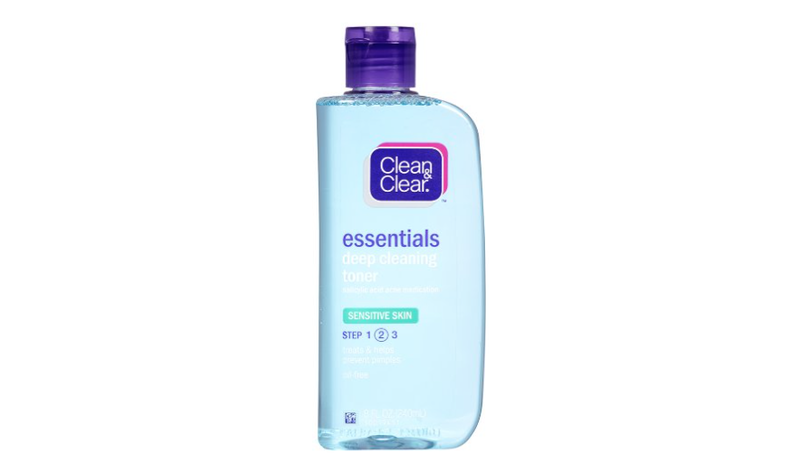 When this happens, I use this Clean & Clear toner to clean my face without drying it out. I just put a little bit on a cotton ball or cotton pad, and quickly clean my face. This is for sensitive skin as well, so it works great for me. These 3 products are the only things that I use on my face regularly, and for now they work great for me. However, I do have some bumps on my face that showed up when I was pregnant with Rosalie and they haven't gone away. Chanse tells me they are "invisible" because he can never see them, but I know they are there ha! Any other ladies out there with the same problem? Any help would be appreciated! Anyways, back to the products, they are all super cheap and you can find them at most drugstores. The ones I have linked are all from Amazon though and they are super affordable on almost any budget. my boyfriend use that moisturizer! (yes i make him do a skin care routine) and It works great! It really is! Definitely a staple for skin care.